Some of the most curious queries of human existence evolve out of man’s precarious connection to the natural world. The human condition: birth, growth, emotionality, aspiration, conflict, and mortality are most intimately interwoven with the first chartreuse-hued buds that appear in spring after a dark winter, the overpowering gush of mighty rivers that carve their own paths on the seemingly impenetrable face of our earth, the wise, weathered trees and delicate young saplings that are life-giving and watchful, and the other sentient beasts; handsome, witty creatures that share all of these things with us. Religion, philosophy, literature, anthropology and biology each offer a lens from which we ponder and make sense of the unknown. What does it mean to be human in the vast nexus of life that seems to know no bounds except for the ones which we impose? How far does our power extend and what boundaries should be placed on our own selves as we interact with the natural world? What can emerge from the murky margins between this innate visceral and mysterious animal intuition and the human intellect? 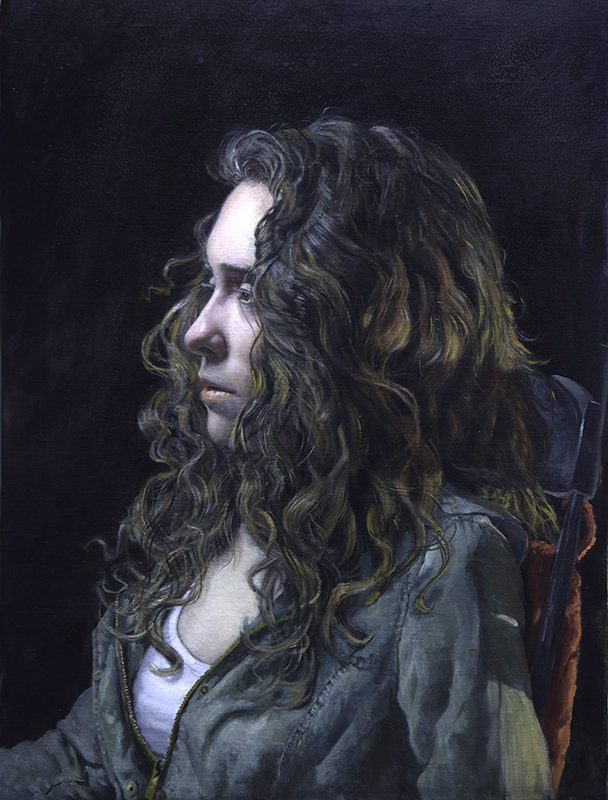 In the thickly-wooded, New England town of Gilsum, NH, figurative painter, Peter Granucci, chooses art as his genre of investigation as he delves into the dark and gritty facets of humanity. “I try to get at that sense of the enormity of our personal, emotional, and, for lack of a better word, spiritual, connection to life and the world.” Peter is speaking to me as we perch on worn mismatched chairs in his barn-studio. The sturdy walls of the long-standing barn are draped in beautiful fabrics which, high up, give way to strong, hand-hewn, wooden beams. 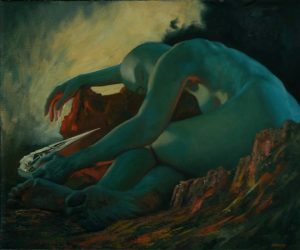 The space is other-worldly; the artist’s secret world— the birthplace of angels, half-human creatures, and wise-eyed animals which stare back from oil and charcoal-marked canvas. I feel entrusted with a kingdom of contemplation, deliberation, and musing.